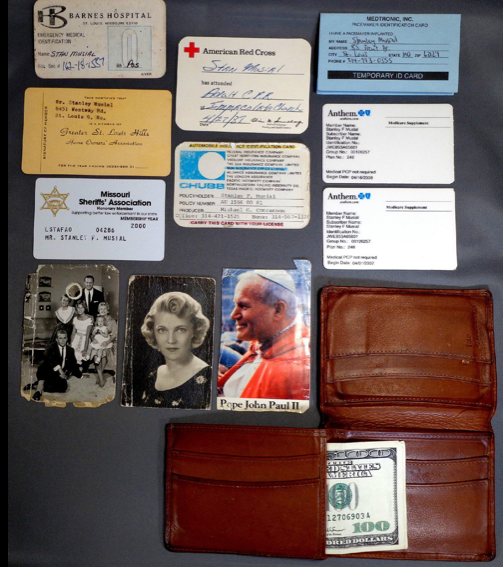 This entry was posted in Baseball, MLB, Uncategorized and tagged Cardinals, eBay, Stan Musial, wallet by danglickman. Bookmark the permalink. very odd — I guess the 40’s style b&w gal is the wife? I wonder how close she was to the pope who rates color. Think he ever flashed the sherrif association’s card when he was stopped for speeding? He seems like he would have been too ‘good’ to do that, but, you never know.